It definitely shows that Yoforia Frozen Yogurt at Darling Harbour are definitely on the ball when it comes to what the customer wants. 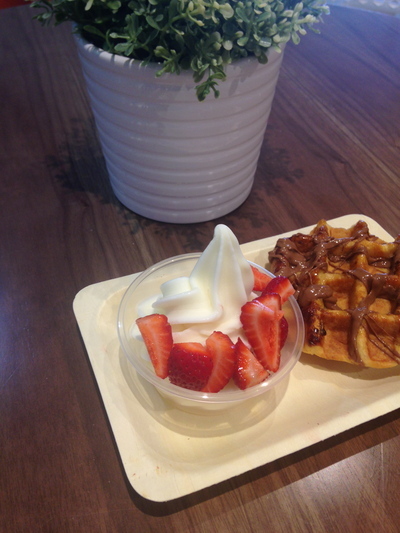 This cool, organic fro-yo joint has been open in Sydney's Darling Harbour since the 24th of October 2013. 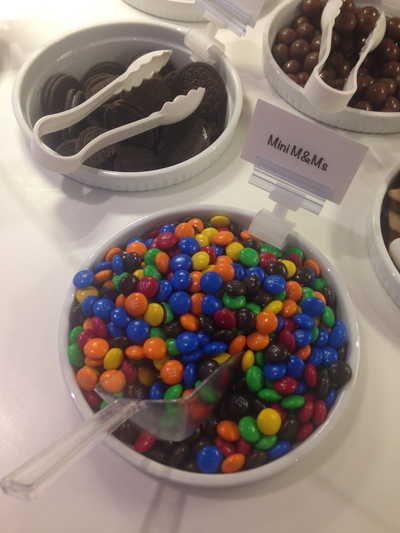 To begin with, their core product is organic, gluten free fro-yo with organic milk. 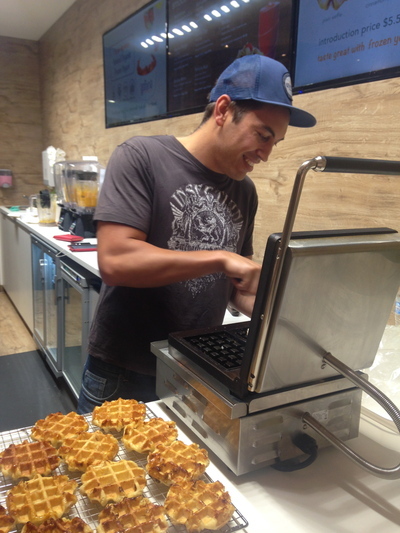 As of last Saturday the 15th of February 2014, owners Tony and Jocelyn decided to grow their menu offering to include waffles. At Yoforia Frozen Yogurt at Darling Harbour, a sit down experience is already available, as well as a concept that enables you to pour your own yogurt; choose your own toppings, and then pay for your fro-yo in a flash. 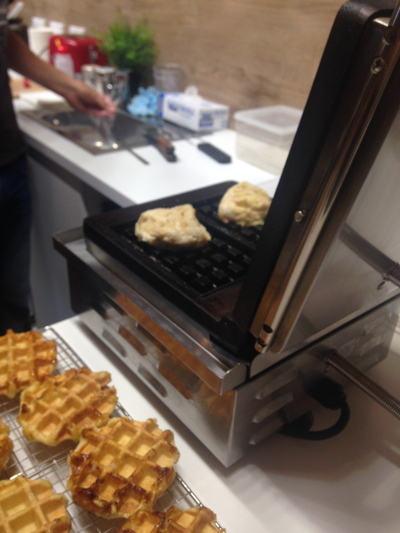 The waffles are prepared right in front of your eyes. It only takes two minutes and 45 seconds to cook these waffles, and get them to a beautiful caramelisation as seen in the pictures on this article. 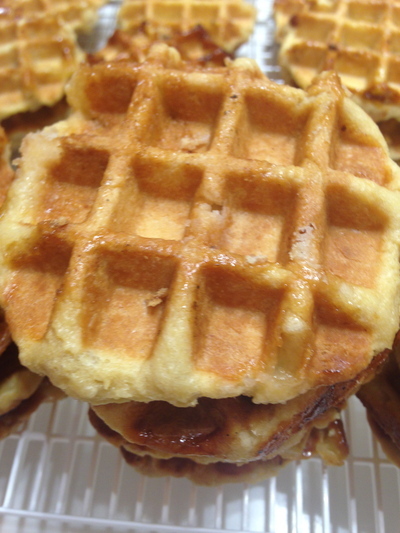 Each waffle is only $5.50 (introductory price), or you can buy two for $10.They're mouthwatering, beautiful and crunchy. They are sprinkled with a generous amount of chocolate, and that fro-yo magic still reigns. One waffle is enough to fill you up. I know, I was full after just enjoying one here recently. You do receive some cutlery, and if you wish to take-away - by all means the friendly staff can easily accommodate your requirements. To die for? Absolutely. Love that chocolate too. 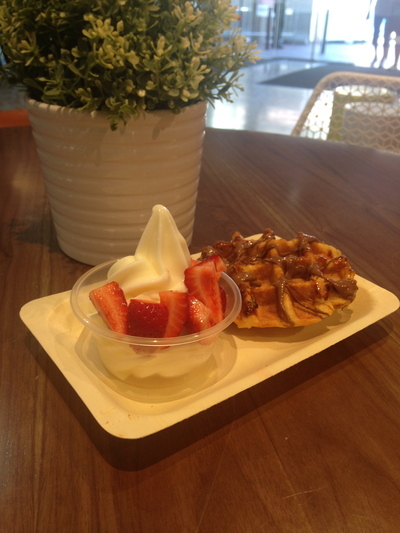 The new Winter Warmer Menu at Yoforia Frozen Yogurt at Darling Harbour does not stop there. As of Thursday the 27th of February 2014, you will be able to buy and enjoy a cup of coffee and/or a hot chocolate at Yoforia. They will have their brand spanking new coffee machine installed by then. It all makes sense, especially as guests would want a hot drink with their waffles. I agree, waffles and coffee go hand in hand. So far the new Winter Warmer Menu at Yoforia Frozen Yogurt at Darling Harbour has been a success. As of late, Sydney has enjoyed a mixture of warm and cool days weather wise. Tony and Jocelyn have decided to keep this new menu offering as a permanent feature for all Sydney Food Lovers who come into the store and enjoy. Their organic and gluten free fro-yo selections will remain, and thus will continue to be a permanent food offering conversely. Justine would love to thank Yoforia Frozen Yogurt Darling Harbour and Sydney Food Lovers for this special writer invitation. Where: Yoforia, Harbourside Shopping Centre - Darling Harbour. Why: For their new, awesome Winter Warmer Menu. Cost: Waffles - introductory price is $5.50 for one, or two for $10. 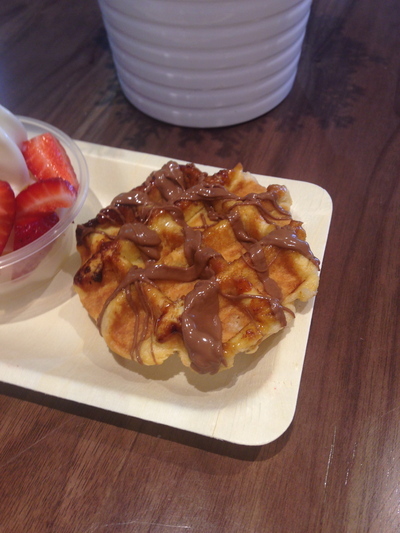 They come with an abundant amount of delicious chocolate sauce, as well as with some fro-yo. When: Anytime you feel like a hearty treat. Should Sydney bring back the trams?